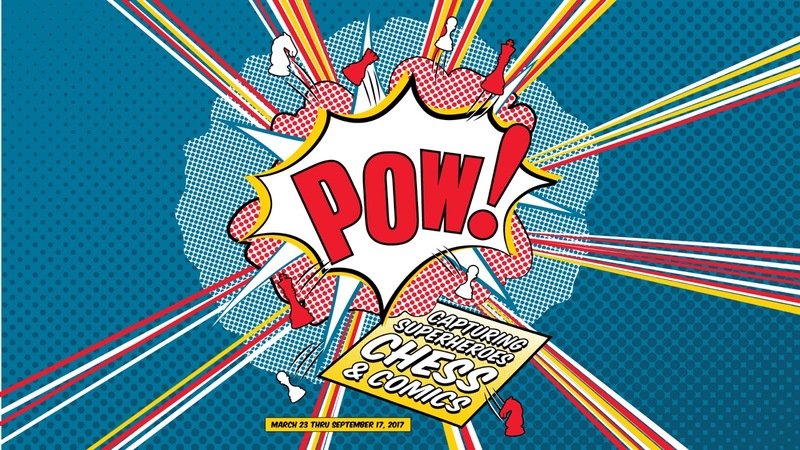 Superheroes, Chess and Comics at the World Chess Hall of Fame! The World Chess Hall of Fame (WCHOF) in Saint Louis proudly debuts an interactive new exhibition, Pow! Capturing Superheroes, Chess & Comics on Thursday, March 23, with a special public opening reception from 6-8 p.m. This exhibit will be on view through September 17, 2017. With Pow! Capturing Superheroes, Chess & Comics, the WCHOF is delighted to present a family-friendly exhibit geared toward visitors of all ages. This colorful and interactive exhibit is sure to wow even the most seasoned museumgoer. Playing chess on fun boards featuring Spiderman, Batman, Wonder Woman and more. 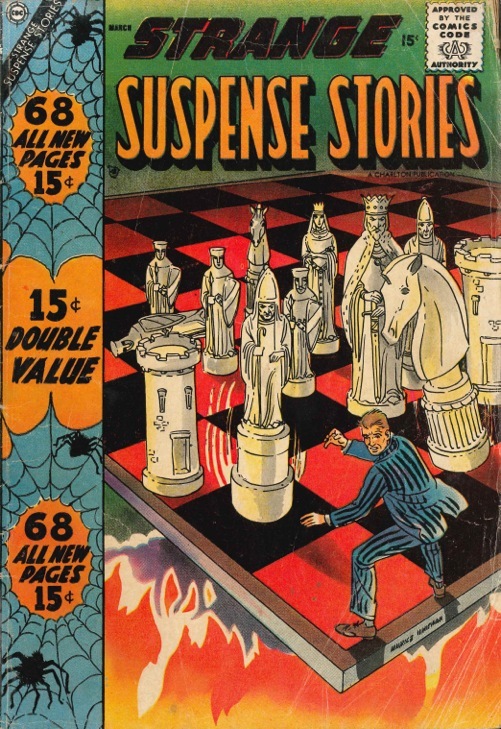 The historic comics collection includes rare editions, such as the earliest chess-related cover, DC Comics’ More Fun Comics 76, released in 1942; and a 1947 DC Action Comics Superman in The Cross Country Chess Crimes. 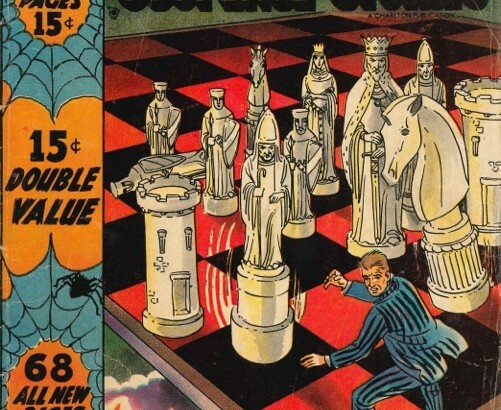 Additionally, objects will be on view for comic and chess aficionados to appreciate, including limited edition, collector comic-inspired chess sets. This novel exhibit is designed to bring out the kid in everyone! “We are thrilled to introduce this new exhibit. In Pow! Capturing Superheroes, Chess & Comics, the fantastical worlds of superheroes, chess and comics come to life in an interactive and educational way. We look forward to welcoming visitors of all ages,” said Shannon Bailey, chief curator. All works in this exhibit are from the collection of WCHOF and on loan from Bernice and Floyd Sarisohn. Written contributions are by Michael Tisserand, author of Krazy: George Herriman, A Life in Black and White and Roy Thomas, former Editor in Chief at Marvel Comics. This year commemorates the fifth anniversary of the WCHOF. The organization has welcomed more than 60,000 visitors since it’s opening. Its widespread acclaim has been complemented by the efforts of its sister organization, the Chess Club and Scholastic Center of Saint Louis, an educational institution that focuses on teaching and promoting the game of chess. The combined efforts of the Saint Louis chess campus led the United States Senate, in 2014, to declare Saint Louis the national capital of chess. Admission to exhibit is complimentary with a suggested donation of $5. Proceeds from Q Boutique, the gift store of the WCHOF, support the exhibitions and education programs of the WCHOF. For more information, please visit the World Chess Hall of Fame online at www.worldchesshof.org or call (314) 367-9243(WCHF). Visit the WCHF social channels: Facebook (@WorldChessHOF), Twitter (@WorldChessHOF), Instagram (@worldchesshof), and YouTube (www.youtube.com/worldchesshof). The Polar Express is at St. Louis Union Station! Come See The #BestCircusEver Worlds of Enchantment with Disney on Ice! Date Night? How About Date Day!